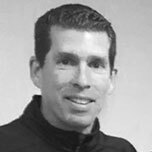 Our team is prepared to help you host your tournament at River City Sportsplex. 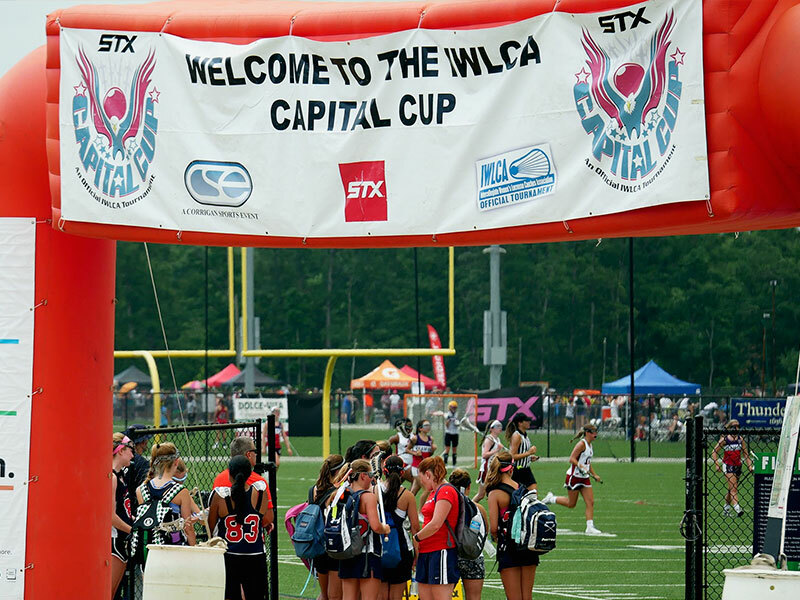 River City Sportsplex was designed to host tournaments! 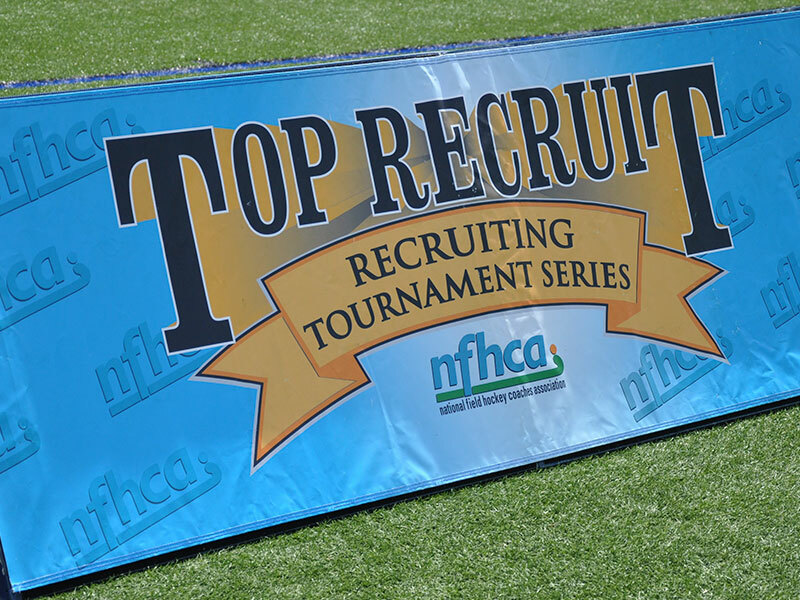 We have one of the nation’s largest collections of all-weather, synthetic turf fields. NEED MORE THAN 12 FIELDS? 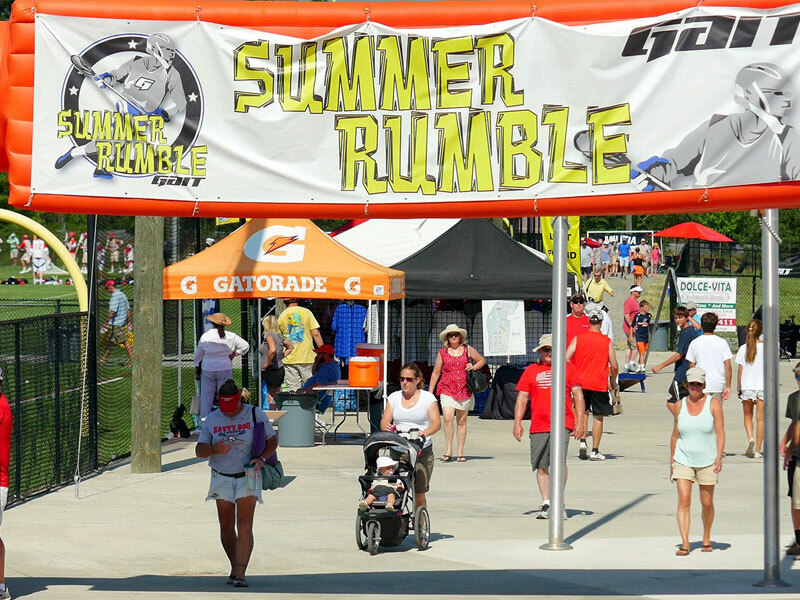 We have nearby facilities with additional fields that you can use for your tournament. 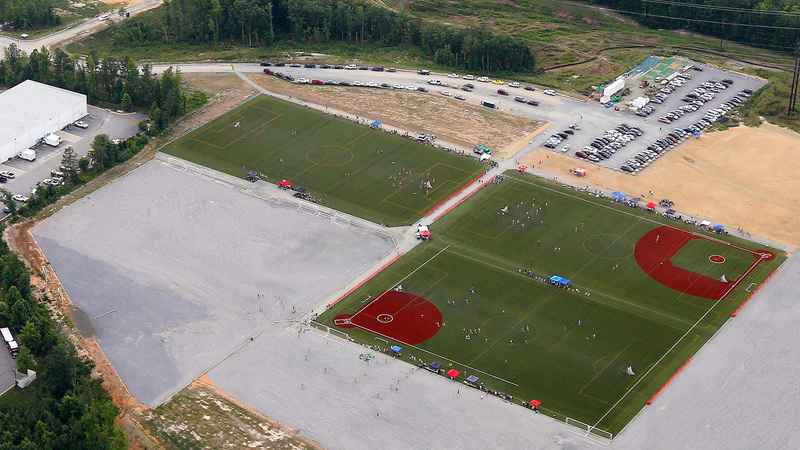 Mary B. Stratton Park has additional turf fields. Horner Park has additional grass fields. 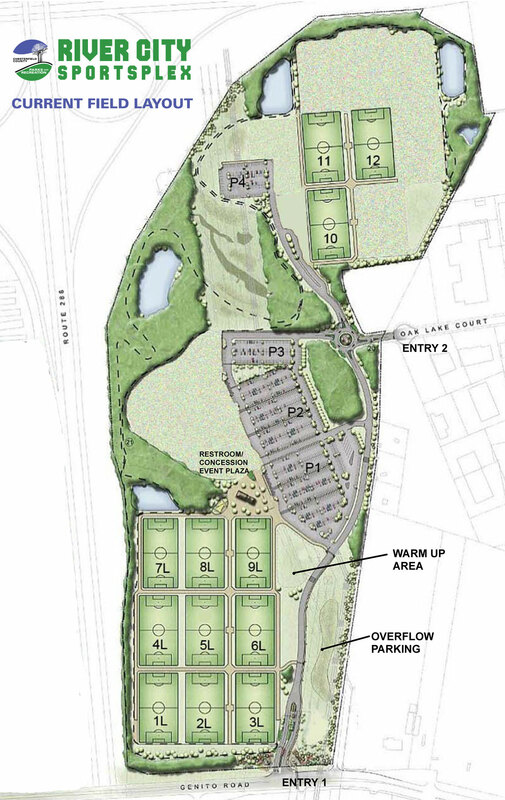 Chesterfield County has plans to make River City Sportsplex even better. We want to make your visit the best it can be! 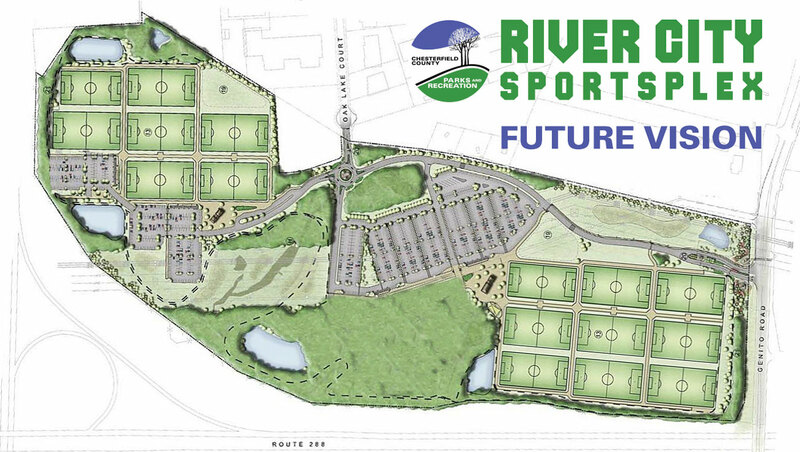 We envision River City Sportsplex to be the premiere site for sports tournaments on the East Coast. 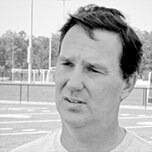 Our plans include a completed complex with sixteen lighted, all-weather, synthetic turf fields. Our facility will offer quality fields to play your sport with convenient restrooms and concessions operations. We will make it safe and easy to walk between fields with ample parking for visitors. 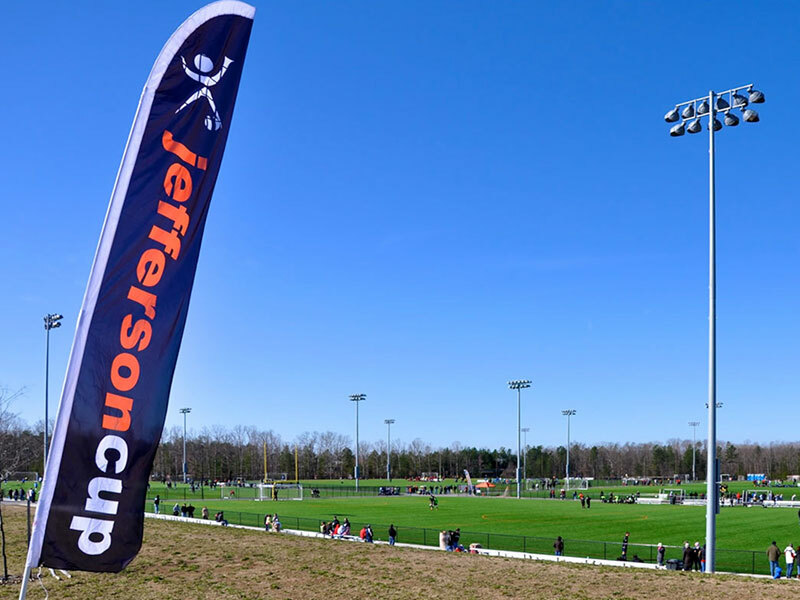 Combined with the nearby Clover Hill Athletic Complex, we will offer a 23 field tournament venue that will appeal the largest and best sports tournament organizers in the country. To achieve our vision, we will complete the current 12 field complex, adding restrooms, concessions, parking, pedestrian circulation and other amenities. 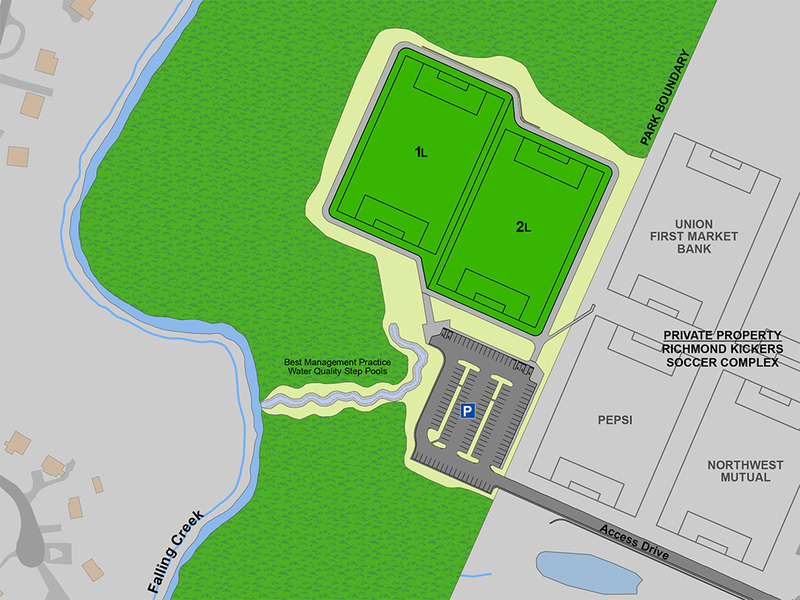 At a later date, we will add the last 4 fields and other compatible recreational facilities on the undeveloped portions of the site.